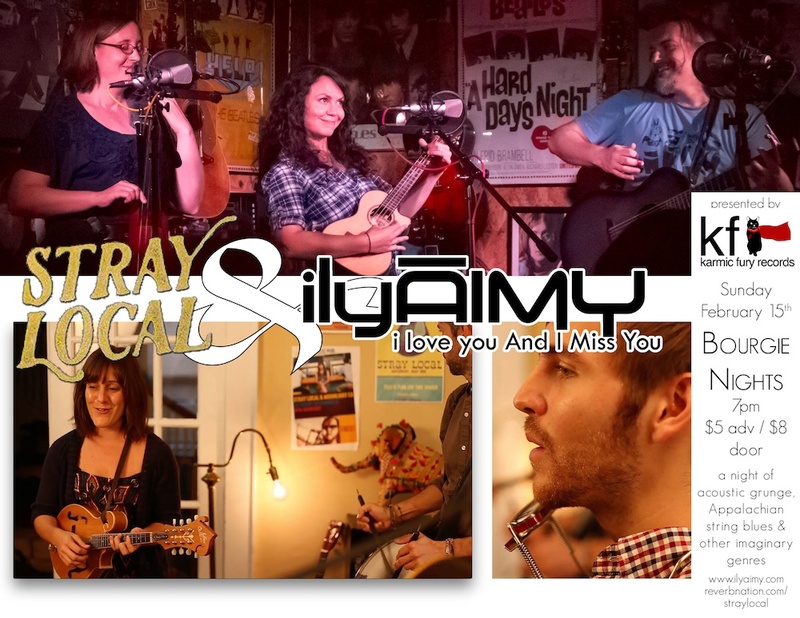 Karmic Fury Records presents acoustic touring trio ilyAIMY from Maryland with local folk favorites Stray Local. Sunday, February 15th at Bourgie Nights. Early show: doors at 7pm. Put it on your calendars and buy your tickets today!